As an 18-year-old that was born with only one hand, Aaron Westbrook knows from personal experience how difficult life can be without a limb. Though he has lived his whole life without one hand, it wasn’t until he was a freshman at New Albany High School that he tried his first prosthetic. It was a disappointing to say the least; the artificial limb cost about $40,000 and it didn’t even fit him well, let alone function in any way he needed it to. Instead of simply sulking in his disappointment, Westbrook sprang to action as he realized that this was a field that was seriously lacking but that he could contribute to. 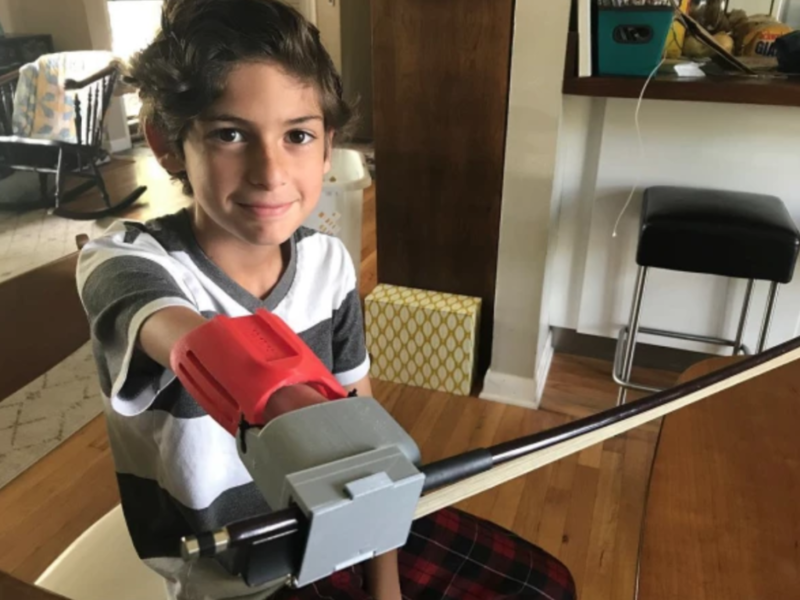 Using the 3-D printer in his school’s lab, he designed his own prosthetic that had an elbow-controlled cable that controlled finger movements. The fit was much better for him, and he could have stopped there, but Westbrook decided to take his creation to the next level by helping others. Since so many prosthetics are task-specific and you need a variety of them for different tasks, all of which leads to astronomical costs, Westbrook launched a nonprofit called Form5 to address the needs of those with missing limbs but without tons of money. 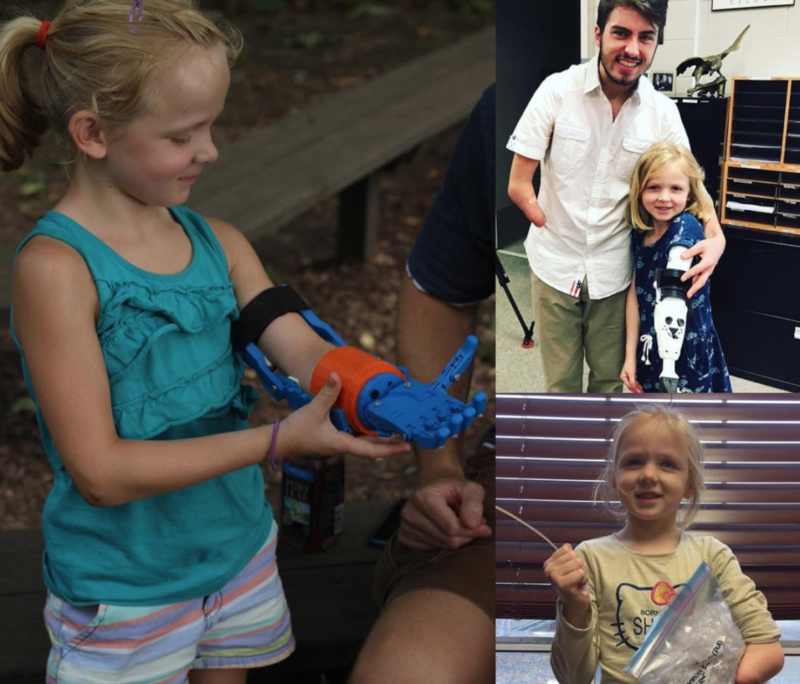 The organization creates custom, open-source prosthetic limb designs so that others can access them for free and Westbrook also creates the limbs himself with a 3-D printer and recycled plastic. The teen collects recyclable material himself and even hopes to someday repurpose outdated or tossed limbs into new ones that fit new people. So far, it’s just Westbrook working on the limbs, for which he has made several prototypes and even outfitted two young clients with pilot limbs. 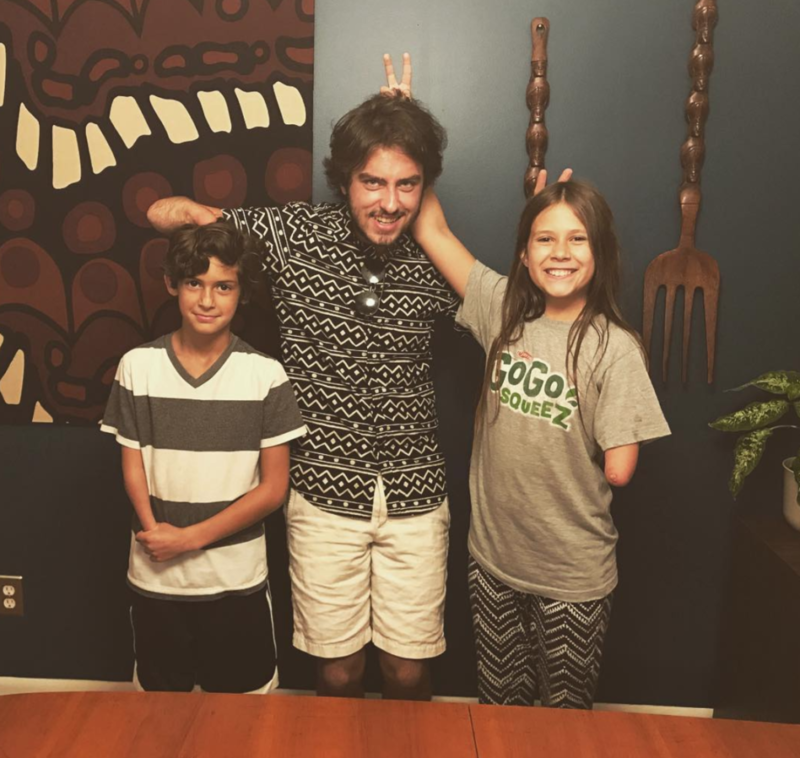 He is part of a bigger movement that is pushing for cheaper and better prosthetics, but his local effort could grow into something more as he helps more people. “I kind of joke [that] Form5 is a one-man, one-hand show,” he said. Westbrook has outgrown the school lab where the 3-D printer is housed because he’s moved on to college, so he’s using Kickstarter and private donors to help finance his own equipment. He started school at Antioch College this fall and the university gave him access to their lab while creating his own major, which he calls “eco-friendly digital fabrication.” His intention is to marry science, technology, art, and design into his 3-D modeling.